Club Penguin Cheats by Mimo777 Club Penguin Cheats by Mimo777: Top 3 Club Penguin Games? And Puffle Launch make #39! Top 3 Club Penguin Games? 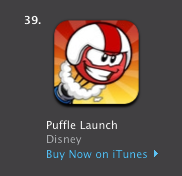 And Puffle Launch make #39! Did you see that Club Penguin's Puffle Launch iPhone App is number 39 on iTunes Top Paid Apps! What are the top 3 Club Penguin game you would like to see as iPhone or iPad or Android Apps? 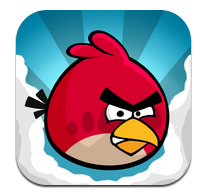 Do you think Club Penguin made a good choice by choosing Puffle Launch as their first iPhone game? CLICK HERE FOR Puffle Launch NOW! Well, I think that they just really need an app which allows you to log into your via your iPod/iPhone/iPad and play all of the games which you would normally be able to play... but... with an secret app-only game. It made #2 the day after it came out in Canada! i think there should be an app where you could play club penguin on the go, and a system defender app. 3.DJ3K! On this app it would be cool to make music and actually SAVE it to your device to listen to it! They should so make these for android!! Puffle launch should have WAY more extra levels!! You shouldn't have to pay $0.99 just for 24 -or so- levels. P.S. TO everyone who wants a CP app to play on the go, its not going to appen any time soon. We just don't have the technology. No I don`t think it was a good choice using puffle launch for there first app, mainly because its hard and if you completed puffle launch (PC) U have to to do it again at least a transfer memory onto IOS device option and use your own puffles. Also i think club penguin/ disney should make a NEW cp game as an app not just a copy of a hard game. 3. Cp, you can log on and play. It'll be cool if you have puffle paddle and you move the i touch to paddle. just an idea. Awesome idea! I never thought about the fair games. 2.Playing CP as Famous Penguins! 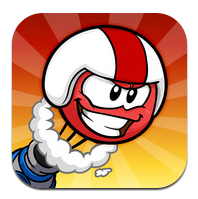 3,Puffle Launch meets Angry Birds!! !